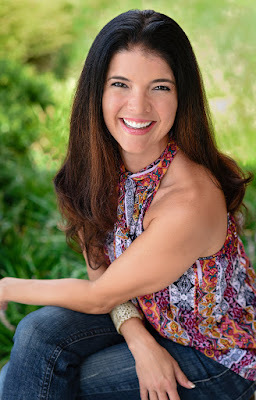 Audra Jennings: What were you born to do? What if you could live into that very purpose? This kind of living requires us to see ourselves as instruments designed to be used for the glory of God. But most of us don’t see ourselves this way. Instead, we resign ourselves to be spectators in the audience, still waiting for our names to be called—to be cast in that next big role. Of course, we all hope to be selected. However, sometimes in our desire to be chosen, we turn our focus to others—hoping they will select us. We end up auditioning for life, always striving to make the cut and gain approval. And in our desire to be chosen, we forget that God’s already cast us in a unique role that only we can play. 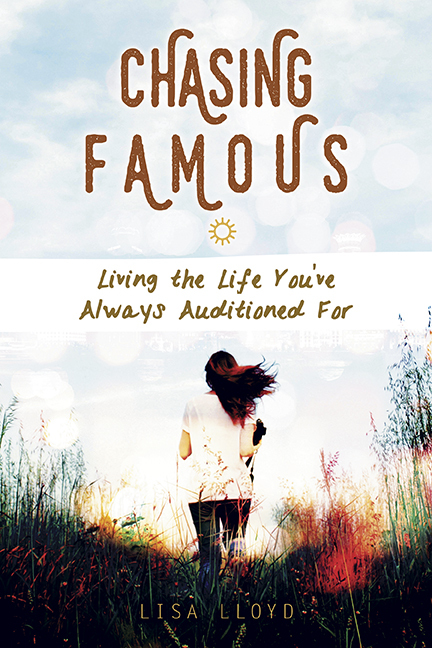 Written by a professional actress Lisa Lloyd, who spent years chasing after her own fame, Chasing Famous (New Hope Publishers), empowers us to be brave and step into the role God has for us—no longer seeking after our own fame, but joyfully making God’s name famous—knowing we have been selected to stand center stage and proclaim His renown to all who will listen. Q: Why do you think we often trade the applause of the One who’s given us everything for the applause of those who simply want something from us? It’s because we’re insecure—or at least for me. I want a tangible, audible “atta-girl!” If I put too much hype on the affirmation of others and their applause, or lack thereof, it dictates how I feel about myself. At its core, I’m an idolater. My security must come from the fact God loves me, messiness and all. When I get the spotlight off myself and my shortcomings and onto God and His enough-ness, then He can use me to make His name great. It’s in the nothingness of me that He makes much of Himself. Q: How does making glorifying God our main objective change the way we approach our daily lives? It takes the pressure off, first of all. If the point of my day is to glorify God, then that is where my happiness and joy will lie. It doesn’t lie in me doing things or putting myself in a position to be happy. My joy comes from paying attention to where He is and joining Him there. I need to be sensitive to His Spirit and die to me when it comes to my friendships, my attitude, my husband, my kids, my calendar, my objectives. When I live this way, the Spirit within me is greatly delighted, and therefore I am too. 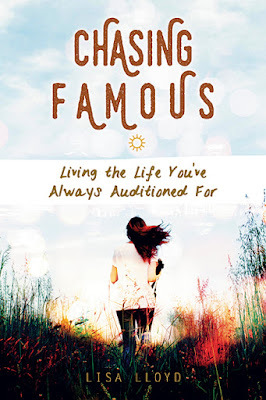 I may not get my checklist taken care of that day, but when I’m living my day asking God what I can do to make Him famous, my checklist becomes secondary while my God-focus becomes primary. Q: You write about the great freedom to be found in sharing our past struggles and being authentic about what God has rescued us from. How does being vulnerable about our past failures free us to shift the spotlight more effectively to God? Is there ever a time not to share or not to reveal every detail? When we take the brave step to share our past failures with others, we loosen Satan’s grip on us, and God uses us to set others free. As I mentioned earlier, vulnerability breeds vulnerability. When I share my story and challenge others to share theirs, they tell me it’s like they were given oxygen for the first time in years. I shared my story at a women’s conference recently. A few hours later, a woman told me that after she heard me speak, she shared her abortion story with her Bible study group at the conference with her. She’d never told anyone before, not even her husband. Then another member of the same group shared she too had an abortion. This group rallied around both women and later helped them find post-abortion counseling. Their initial fear of being shunned was a lie. Instead, the group loved and linked arms with them. God drew nearer, not further away. The enemy was pushed back as these women shifted the spotlight of their lives onto God. I share my story whenever a group I’m in is discussing the grace of Jesus. I share one-on-one when I sense that the person I’m talking with might find freedom if he or she were to hear my story. I once was a part of a peaceful, silent protest on the other side of the parking lot from Planned Parenthood. There was a young woman there protesting us. She told me she had a three-year-old she wished she’d aborted. I shared my story with her, and as I did, she told me the sun was getting in her eyes so that was why she had to wipe the tears from her face. When it comes to details, I reveal those that point back to God. If details are circumstantial and point to me, I leave them out. If someone is bravely sharing his or her story for the first time in a group that loves him or her, I say, share everything you want. Q: How do we do the hard things God asks of us when it goes against what we want for ourselves? It’s hard to do what God wants me to do when it goes against what I want for myself. I think we take one day at a time. We commit to obey Him today, and then tomorrow. We ride on the joy from yesterday’s obedience as we bravely obey Him today. 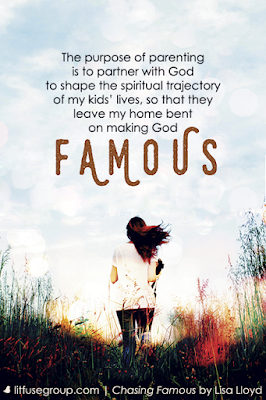 I try to remember giving God glory isn’t always about making God famous to others. I make God famous to Himself when I step out and trust that obeying Him is worth it every time. Q: Living a life dedicated to making God bigger in the eyes of those around us is seldom easy. What tips can you offer for keeping our spiritual energy and focus strong? Having a spiritual reset every day is key for me. This is hard, but carving out time to spend with God before my day starts is helpful. When I do this, I respond to my kids better, I’m quicker to obey God, I serve my husband with a happy heart, and I’m open to needs around me. Once a month, I meet with women who are super passionate about Jesus. I used to think to myself, Man, I would love to get together with her and her and her and her, but I just don’t have time. So I put a regular date on the calendar, asked these women to come to my house, and talk about life and God. We hold one another accountable too. It’s fulfilling (because it’s Biblical! ), and though these women didn’t know each other before our once-a-month meetings, they look forward to it as much as I do. Q: How can believers discover the unique gifts God has given them and then learn the most effective ways to use those gifts? · What activity, when completed, leaves you with a ‘high,’ and you can’t wait to do again? · What do people cheer you on about? · What would you do for free? As we discover our gifts, we are not guaranteed to be released to use them in world-changing ways, but we can find small ways to use them. Our spiritual gifts are for the body of Christ to encourage and build each other up. If my true desire in discovering my gifts is to use them for this reason, then I don’t have to have a spotlight or a superstar platform to be effective. Instead, I’m obedient to use my gifts however and whenever God opens the door for me. Q: You devote a chapter to comparing ourselves to others and being dissatisfied with our talents. How do we combat the poison of comparison and learn to embrace our unique, God-given skills and talents? I’m in the habit of comparing myself but not in the habit of seeing myself as gifted by God. If I want to embrace my unique God-given skills and talents, I must get off “repeat.” This is a decision I must make every day. Second Peter 1:3 (NLT) tells us, “God has given us everything we need for living a godly life.” I don’t have to find it; it’s already there. But it’s a decision and a mindset shift. To get the focus off myself, I will have to fight the enemy daily whose greatest fear is that I would make God famous by embracing who God’s made me to be so He can release all of Himself through me. It’s possible and doable, only if I remind myself of Who needs to stand center-stage of my life.